Unfortunately, no one goes through life without receiving some type of traffic or parking ticket. 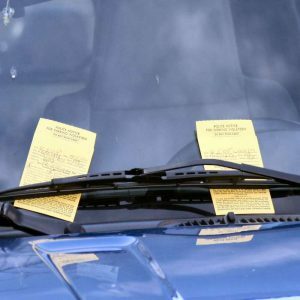 Although most of us view these occurrences as an inconvenience more than anything else, it is important to know that an unanswered traffic or parking ticket can have serious repercussions. There are several violations contained in the New York State Vehicle and Traffic Law that, if found guilty, will result in points being assessed to your driver’s license. An accumulation of eleven (11) or more points on your driver’s license within an eighteen (18) month period may result in your license being suspended or revoked by the New York State Department of Motor Vehicles. In addition to the points system, there are several other ways in which your license may be revoked or suspended, i.e. conviction of multiple traffic violations. It is important to note that in accordance with recent changes in New York State law, a conviction of texting while driving or operating a mobile/cellular device while driving is now a five (5) point violation. Further, a conviction of a traffic violation may result in multiple points being charged to your license in addition to a fine and a mandatory surcharge. In addition to the effect a traffic violation(s) may have on your ability to drive in New York State, the accumulation of points on your driving record may also impact your automobile insurance premium as your insurer will almost certainly view your driving record prior to renewing an exisiting policy or issuing a new policy. With these circumstances in mind, it is important to obtain legal counsel in order to obtain the best result possible when dealing with traffic and parking violations. The attorneys at Restaino Reddien, LLP have years of experience in dealing with all types of traffic violations including but not limited to: cell phone violations, texting violations, speeding, moving violations, parking violations, unlicensed operation of a motor vehicle, and suspended licenses. If you receive any type of traffic or parking ticket, please contact Restaino Reddien, LLP for your free consultation so that we may ensure that your driving record remains in good standing.